ServiceMaster Restoration by Just in Time Services has long been a trusted provider of disaster restoration services for homes and businesses in Uniontown, PA and the surrounding communities. We have been serving the towns of Washington, Fayette, Greene, Westmoreland, and Allegheny counties in southwest Pennsylvania as well as the counties of Harrison, Barbour, Marion, Lewis, and Upshur in northeast West Virginia since 1985. Each of our technicians are IICRC-certified to handle any type of disaster restoration and we use state-of-the-art cleaning products and equipment to ensure quality service. The services provided by ServiceMaster Restoration by Just in Time Services consist of fire damage restoration, water damage restoration, mold removal, smoke and soot removal, carpet cleaning, post construction cleaning, and content cleaning and pack out services. You can trust our experienced technicians to provide quality services with our advanced cleaning equipment and methods and we will also work with your insurance company to help you file your claim. We are a licensed contractor that can provide construction services in Pennsylvania and West Virginia and we are also a member of ServiceMaster’s nationwide catastrophic response network that helps with large losses throughout the country. Our technicians are proud to serve our local community as we have completed major local projects including large scale water damage restoration for the Maple Gardens retirement home and Lakeview Resort, fire damage restoration for the Slickville, VFD, and flood damage restoration at Superior Roofing. Our phone lines are open 24 hours a day at (724) 320-1397 so we can respond to your disaster restoration emergencies in the Uniontown, PA area. 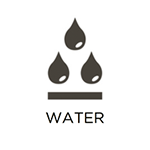 It seems like no matter what you do, water will somehow find its way into your home or building. Excess water in your home typically comes from rain, natural floods, plumbing leaks, burst pipes, or overflows and it can quickly become a huge problem. Water spreads by penetrating absorbent building materials which makes them vulnerable to mold growth and significant structural damage. ServiceMaster Restoration by Just in Time Services provides water damage restoration and flood cleanup services in Uniontown, PA to extract excess water and moisture from affected surfaces and furnishings. We have the right equipment to thoroughly dry your home or building and we will also clean and sanitize the affected areas. 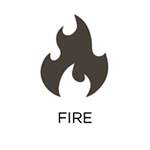 You never know when a fire might strike your home or business and when it happens, it can cause widespread damage very quickly. Once you make sure everyone is safe and the fire has been put out, you cannot hesitate to start the cleanup process. Fires leave behind soot, smoke, and corrosive byproducts that continue to spread damage after the fire is out. Many surfaces and household objects will become permanently damaged if they are not cleaned fast enough. 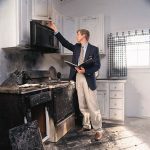 ServiceMaster Restoration by Just in Time Services provides fire damage restoration services in Uniontown, PA to effectively clean up and repair homes and businesses that have sustained significant damage from fire and smoke. Fires can cause a lot of damage very quickly but after the fire is out, the damage will continue to get worse due to smoke and soot. Burnt synthetic materials produce an oily smoke that can damage affected surfaces and furnishings, and smoke can leave strong odors by getting absorbed into building materials. 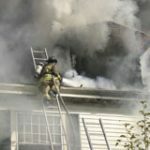 Smoke also creates soot that settles throughout the home long after the fire is out. The soot and corrosive byproducts can cause permanent damage to your furnishings and belongings which is why you can’t hesitate to begin the restoration. ServiceMaster Restoration by Just in Time Services provides soot and smoke damage restoration as part of our fire damage restoration services in Uniontown, PA. We can salvage surfaces and objects affected by soot damage with our powerful cleaning products and we also use advanced equipment and techniques to remove smoke odor. 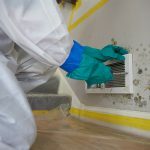 It is possible for mold to appear in a home or building at any time, especially if there has recently been water damage. Mold spores are always in the air and when they find an environment that provides a food source and a moisture source, they quickly form into mold colonies. 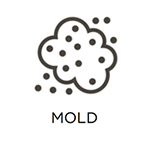 Mold growth is dangerous because it can cause irreversible damage to the surfaces it grows on and cause allergic reactions or even respiratory infections in those who are exposed. ServiceMaster Restoration by Just in Time Services provides mold remediation and mold removal services to help contain and remove mold growth from homes and businesses in Uniontown, PA. We will locate all mold growth in your home including hidden mold and remove it completely with our advanced techniques and cleaning products. Most natural disasters do so much more than just damage your home, they can also damage your personal belongings. 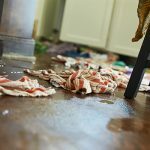 Much of your personal content can be easily affected by flooding, mold, fire, and smoke and if your more delicate items are not cleaned and restored, they may sustain permanent damage. 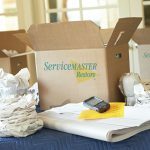 ServiceMaster Restoration by Just in Time Services provides content cleaning and pack out services in Uniontown, PA to clean, restore, and deodorize damaged personal content. We have the capability to effectively restore your damaged items in your home and we offer pack-out services to restore them at our facility if your home has been significantly damaged. The carpet is perhaps the most prominent furnishing in a home or office and the condition of the carpet can say a lot about you or your business. Your carpet constantly gathers dirt and debris from the foot traffic which gets pushed down into the fibers and causes the carpet to look discolored and worn out. If your carpet has a worn-out appearance, it can affect the look of your entire home or office. ServiceMaster Restoration by Just in Time Services provides carpet cleaning services for homes and businesses in Uniontown, PA. Our hot water extraction cleaning method can remove deeply embedded debris from your carpet and fully restore its original appearance and color. Construction projects in your home or business can be disruptive to your daily life and once they are complete, you may be anxious to resume your normal life. Some construction sites may not be ready for immediate use as there are often screws, nails, and other hazards left behind. Construction projects can also create a large amount of dust that can be difficult to remove. 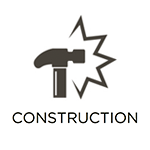 ServiceMaster Restoration by Just in Time Services provides post construction cleaning services to clean up dust and remove leftover materials from construction sites in Uniontown, PA. We will make sure the job site is completely clear of all dust and debris. For 24/7 professional post construction cleaning services, call us at (724)320-1397 if you are located in Uniontown, PA or one the surrounding communities.